Not Quite Pamplona but Thrilling Enough! 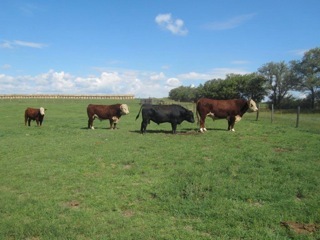 One of my summer adventures was helping my farmer friend remove her bulls from their harems. Naturally, they’d rather not move to months of bachelorhood with the other bulls. My farmer could sort them herself when she had a good herding dog, but alas, she lost him and she’s alone. So I agreed to come and be her “dog”. A dog would do much better than I did. I haven’t done jumping jacks for cows for over 40 years! All my farmed–raised friends know exactly what I mean by that. It’s a technique used by cow chasers to divert the herd in the desired direction. At one point I let a calf squeeze by, out popped its mama from the crowd and the rest mad-dashed for the opening. We had to regroup, technically, re-herd! A dog would not have let that happen. We were chasing the curly-haired-faced red brute. I was cautious, which again allowed the creature to choose his own direction. My farmer chastised me. “He won’t hurt you”. My inner alarm sounded. My Grandpa constantly warned us to steer clear of the bulls. Of course that was before I was 11. Then again, 45 years later, do I really want to take the chance that I can outrun a bull to the nearest fence? 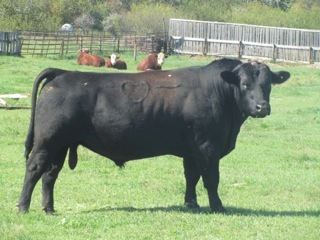 A bull that is more than a little agitated at being separated from all his lovely ladies? A good herd dog is not afraid of a one-ton animal. A herd dog has years of herding history firmly lodged in the strands of his DNA. And the agility to perform the last-second escape from a hoof or horn. Clearly, I am not a dog. I eventually got the hang of positioning my quad behind and slightly left of Curly, my farmer tucking in on the right. We got the bull to the desired paddock. An old dog like me can still learn new tricks! 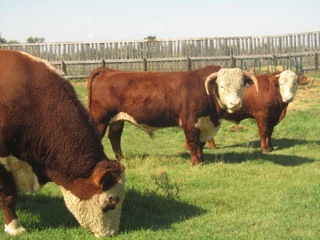 I enjoyed running with the bulls in Maple Creek, SK. Not quite as thrilling as Pamplona but more my style. 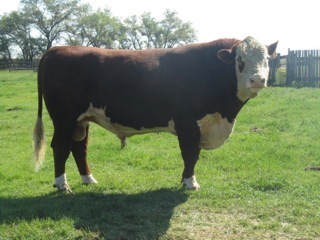 Our bull run had purpose: herd management, ensuring no calves are born later than a reasonable date next spring. Two bulls were sold as they have too many offspring of calf-bearing age: their “wild success” has made them redundant. In Pamplona they run for the heck of it. To brush with death. I don’t feel the need to tease death. It will get me soon enough. In the meantime I enjoy everyday I have whether I’m picking beans or running with the bulls. 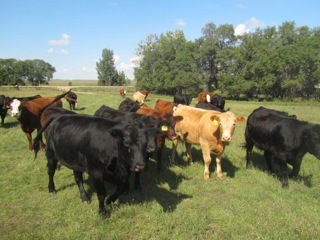 Seeing the cows enjoying their green pastures, being outdoors, soaking in the sunshine, fresh air, and exercise, and a couple days of good belly laughs with my farmer friend, added to my joy for life. I wonder if that’s what they get out of it in Pamplona, too! Laughing with their buddies over drinks about their heroic moves and near misses. Running with the bulls might just be medicine! Back to Bachelorhood until spring!